Coleslaw simply means cabbage salad. It is a blend of finely shredded cabbage, carrots and a few other crunchy vegetables. It is then generously dressed with mayonnaise and salad cream. It is generally eaten as a side dish to such foods as Jollof Rice, Grilled Chicken, Moi Moi and many other rice dishes. Coleslaw is usually served chilled to allow the dressing settle into the vegetables. Cut the cabbage, green bell pepper and onions into very tiny pieces. Scrape and shred the carrots using a grater, then use a knife to cut across the shreds to make the pieces even smaller. Put the cabbage, green pepper, green peas, onions and carrots into a large bowl and stir till you get a good mix. 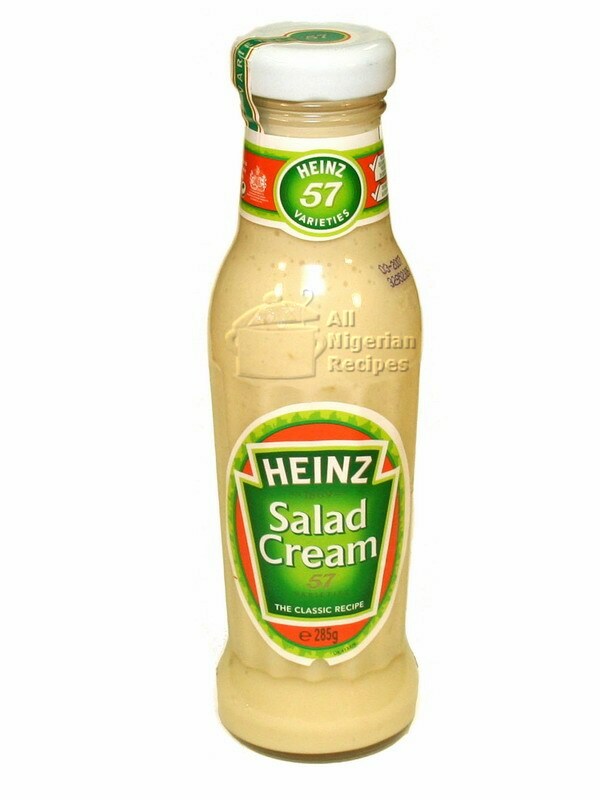 In a separate, smaller bowl, mix the salad cream, mayonnaise, sugar and salt. Pour the cream mix into the bowl of vegetables and stir very well. Note: If you prefer the coleslaw creamier, you can increase the quantity of the salad cream. Feel free to add a pinch of ground pepper if you like it spicy. 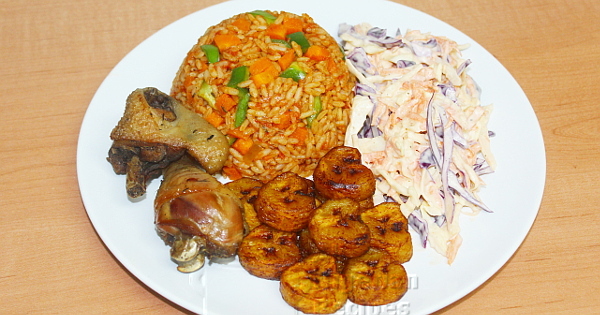 Coleslaw can be eaten alone or as a side dish to Jollof Rice, Coconut Rice, Fried Rice and other Nigerian rice dishes.